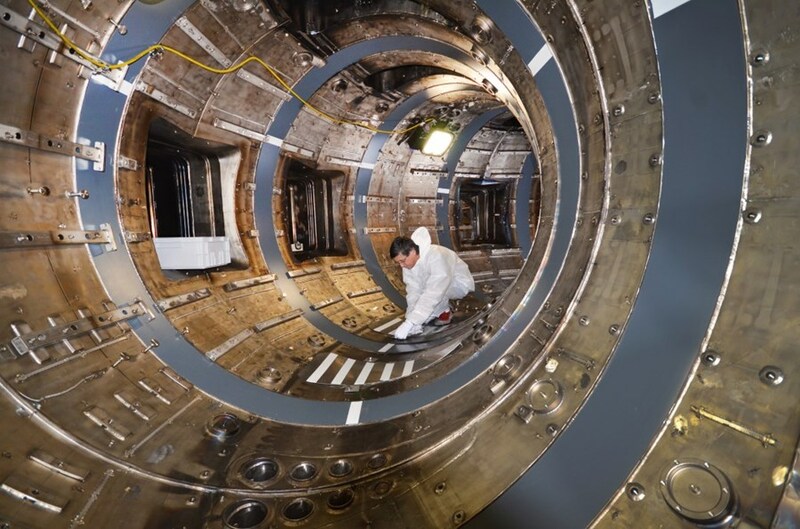 The Tore Supra tokamak, at the French research centre CEA Cadarache, is undergoing a profound transformation to become a test bed for the ITER tungsten divertor. 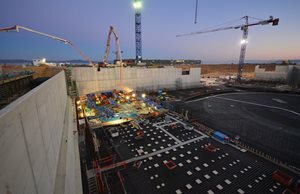 In its quest for fusion energy, ITER is not striving alone. 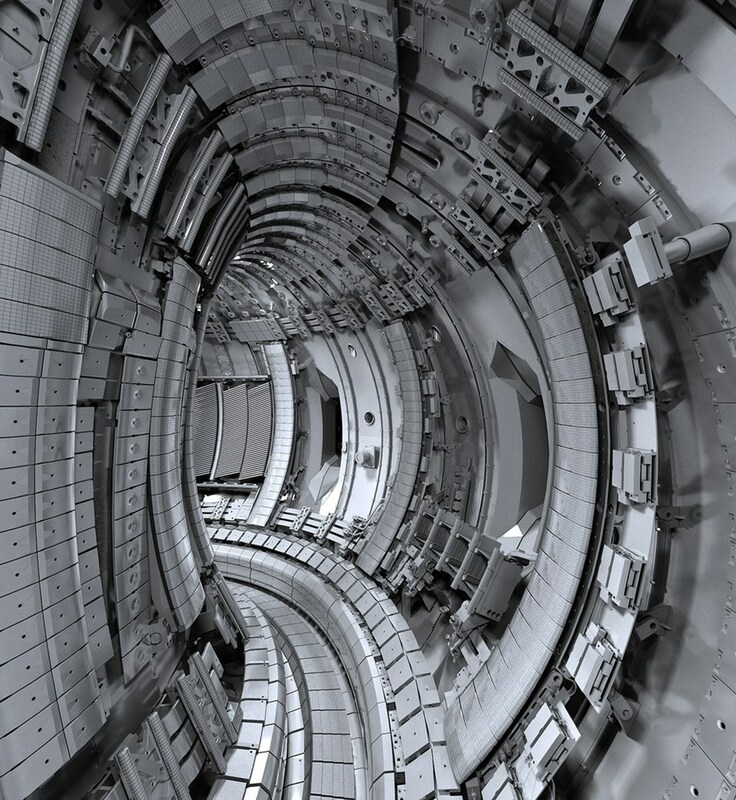 Tokamaks in Europe, the United States, Korea and Japan have been the front-runners, exploring the road that ITER will begin to experiment in less than ten years. 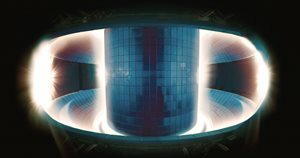 Although each experimental machine is unique in its conception and its size, all of these machines have oriented their scientific programs or modified their technical characteristics in the last years to reinvent themselves—either partially or totally—as test beds for ITER. 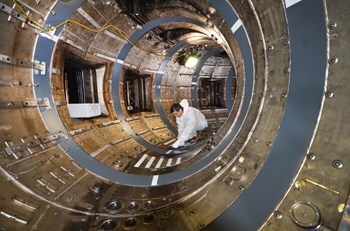 Next door, at the French research centre CEA Cadarache, the Tore Supra tokamak is undergoing a profound transformation. In operation since 1988, the CEA-Euratom machine will be altered (1) to test the ITER tungsten divertor—one of the critical ITER components that will be exposed to some of the highest thermal and neutron loads during operation. Started just a few weeks ago, the "stripping down" of the vacuum vessel is now complete. From the huge heating antennas to the smallest elements of piping, some 1,500 elements—65 tons in total—were dismounted, carefully indexed, and stored. 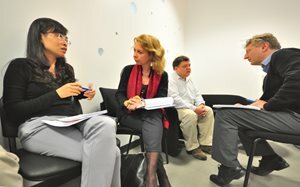 In the newly liberated space, the physicists at Tore Supra plan to recreate part of the ITER environment on a smaller scale. Supplementary magnetic coils will allow operators to create a D-shaped, ITER-like plasma. And thermal load studies will be run on the new ITER-like tungsten divertor—a strategic component facing loads as high as those of a (hypothetical) spaceship near the surface of the Sun. 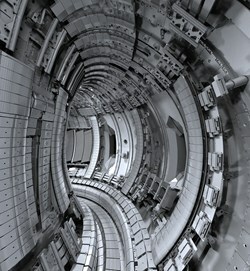 The world's tokamaks are not all undergoing such radical transformation. 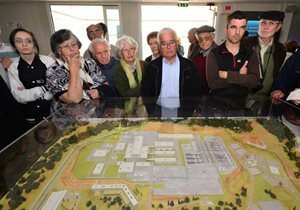 But all have been mobilized to anticipate, and help resolve, the scientific and technological challenges that the ITER Tokamak will face.